Operating a car wash comes with a few requirements. 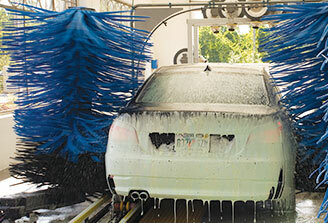 One of which is ensuring your customers leave with the best car wash possible, every single time. 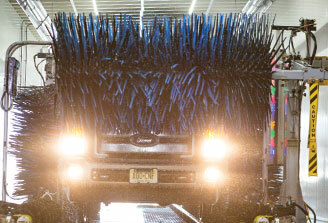 That’s why choosing durable, dependable tunnel car wash brushes is so critical. 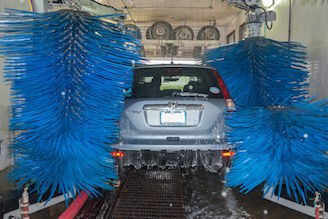 Every car wash brush isn’t created equally—go with the name you can trust and always depend on to deliver high-quality, reliable tunnel car wash brushes every time. Specifically engineered to ensure you can have greater vertical reach to serve taller vehicles, the RS-301 is able to contour high and low sides of any vehicle your customer needs cleaned—including vans, trucks and SUVs. 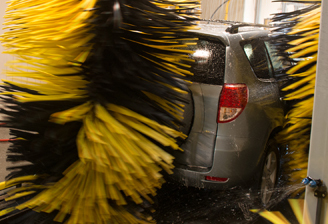 Cleaning low spots where dirt and grime build up is important when it comes to maintaining vehicles. The RS-400 Low Side Washer packs more cleaning power into less space with excellent wash consistency and controlled cleaning pressure. 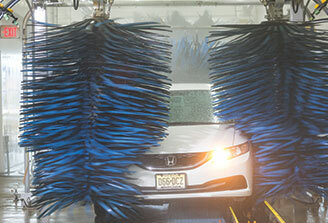 The gentlest, safest and most effective tunnel car wash brush wrap-around you'll find. The SuperFlex Wrap-Around provides reliable performance that has set the standard in the industry by providing excellent wash consistency at the highest of line speeds. This simple car wash brush outperforms any mitter and tackles problem areas such as windshield eyebrows, front grills and upper rear windows—even on larger, hard-to-clean vehicles like SUVs, vans and trucks. 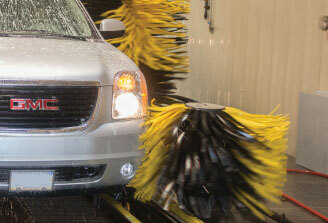 The Quad Pak combines the RS-400 Side Washer and RS-701 SuperFlex Wrap-Around tunnel car wash brushes to double your cleaning power while saving you valuable tunnel space. 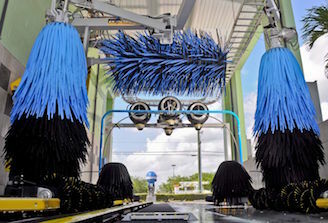 MacNeil's Z-Frame Wash Modules are the perfect piece of equipment for new installations or retrofits. They are simple to install, simple to maintain and pack superior cleaning power in a small space. The Wrap Pak ensures superior cleaning at conveyor speeds of 140 cars per hour. It’s fast, quiet, and safe!